Orthodontics is a branch of dentistry which mainly deals with correcting the teeth malalignment as well as ensuring that the patients have a beautiful smile throughout their life. It is also known as dentofacial orthop edics. 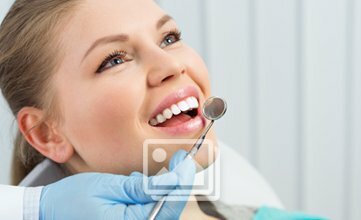 The diagnosis as well as treatment of the misaligned teeth and jaws is done in this specialty of dentistry. 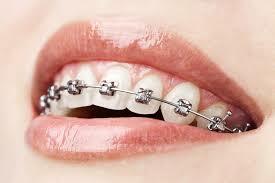 The orthodontistin Chennai are very popular for these. The dentistwho specialize in the field of Orthodontics are known as Orthodontists. Orthodontics is well known to treat several types of dental and jaw related problems. Patients who want to get their teeth aligned properly and look aesthetically appreciative usually take appointment from the orthodontists. Moreover, patients who have congenital defects of the jaws also get treated with several treatment branches of orthodontics. The orthodontic treatments can be done in pedodontics patients as well as adult patients. This ensures that the children as well adults will be able to improve their dental features and health as well. The best part is that after an orthodontic treatment the patient has improved confidence and gets better on the psychological part. Therefore, the patient will be able to become mentally much stronger and better than before. If a patient has protruded teeth, then it can be treated with orthodontic treatments which ensures that the patient is able to smile with confidence and prevent their teeth from getting injured by trauma or accidents. Also, the functioning of the teeth will be improved after getting teeth treated by an orthodontist. The patient will be able to chew food properly without any fear of getting food trapped or teeth interfering in the proper chewing of the food. The force which is generated by mastication will be equally distributed throughout the mouth without forcing any of the particular teeth in the mouth. In children, orthodontic treatments have very long term effects as they guide in the proper eruption of the permanent teeth in the children, thus leading to the development of the good dental health as well as appreciating aesthetics. Oral hygiene is improved to manifolds when a patient undergoes orthodontic treatment. In this way, the chances of food getting stuck is reduced to a great extent without making any kind of other efforts for a better dental health. Proper dental health and sequence also motivates every individual to take proper care of their teeth. In this way, they opt for different self-cleaning methods like regular flossing as well as brushing twice daily to ensure that the patients are able to maintain their beautiful smile. Many of the orthodontic treatments improve the speech of the patients thus helping them in their personal as well as professional lives. Orthodontic treatments also lead to improved looks of the face of the individual which is a bonus of the usually lengthy orthodontic treatments. The best part is that the patients can appreciate to a great extent regarding their new look after the treatments are successfully accomplished by the dentist and the dental team. Thus, in this way orthodontics is a turning point for many of the individuals who want to improve their dental as well as facial looks and functions.